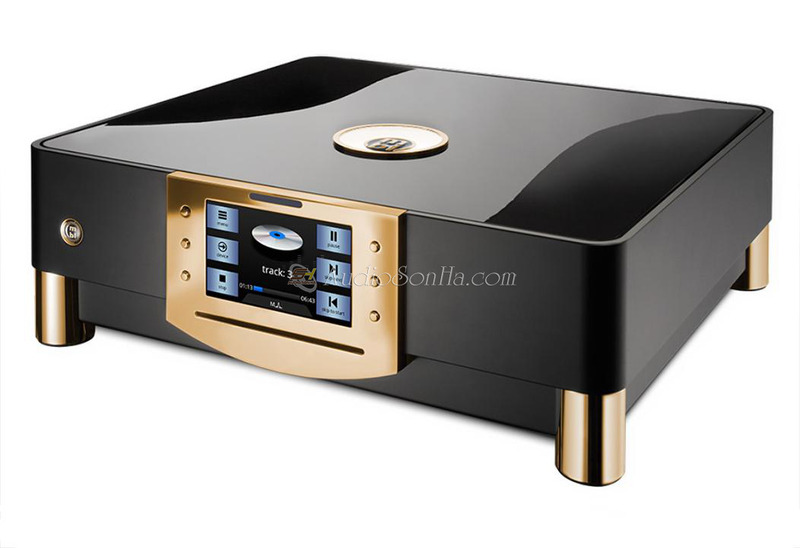 dCS Vivaldi DAC: D/A processor with 5-bit, 2.822 or 3.07MS/s oversampled, dCS-patented Ring DAC topology, switchable reconstruction filters, remote control, integral digital volume and balance controls. Inputs: 4 AES/EBU XLR, 2 RCA, 1 BNC, 1 TosLink, SDIF-2 on BNC, USB-B, 3 word clock on BNC . Digital output: word-clock BNC. 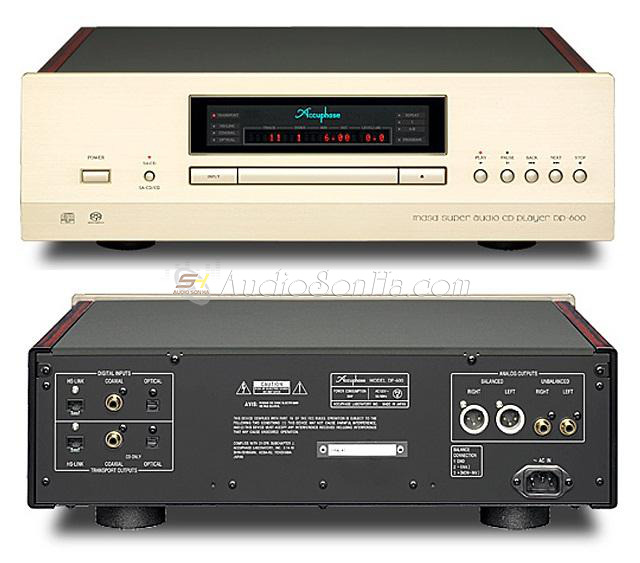 Analog outputs: XLR balanced, RCA single-ended. 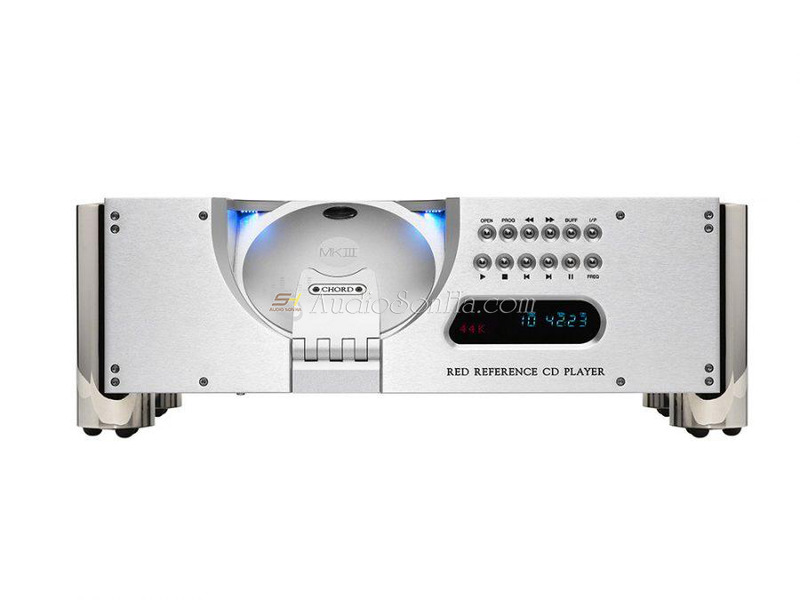 Sample rates: 32, 44.1, 48, 88.2, 96kHz on single-wire interfaces and SDIF-2/word-clock input, auto-selected (optical inputs not guaranteed at 96kHz, 176.4kHz, or 192kHz); 88.2, 96, 176.4, 192kHz, DSD, DXD, LPCM at 358.2 and 384kHz on dual AES interface, auto-selected. Frequency responses (filter 1): Fs=32kHz, 10Hz–15kHz, +0.1/–0.5dB; Fs=44.1 or 48kHz, 10Hz–20kHz, ±0.1dB; Fs=88.2 or 96kHz, 10Hz–20kHz, ±0.1dB; Fs=176.4 or 192kHz, 10Hz–20kHz, ±0.1dB; DSD, 10Hz–20kHz, ±0.1dB. Dimensions: 17.5" (444mm) W by 6" (152mm) H by 17.2" (437mm) D. Weight: 35.65 lbs (16.2kg). 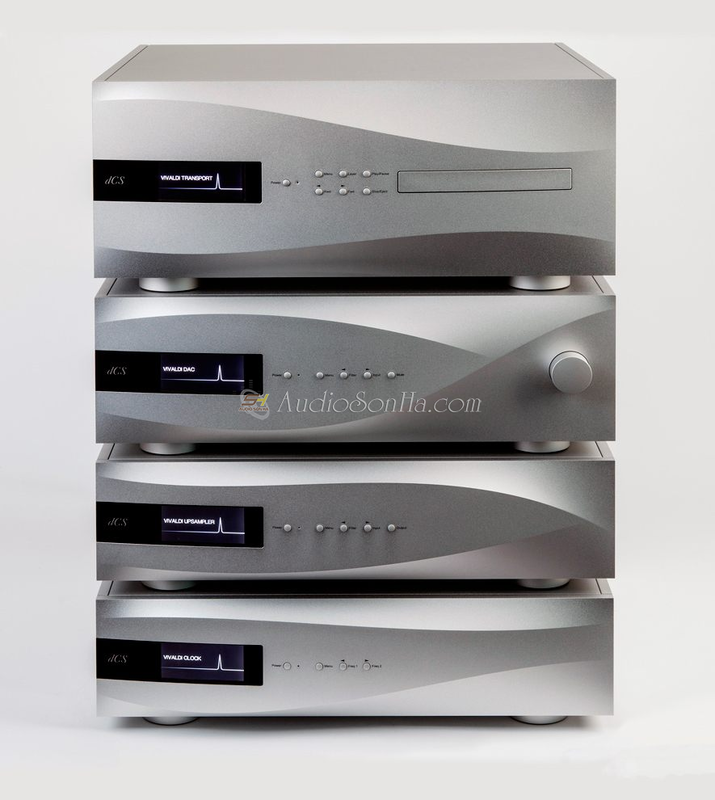 dCS Vivaldi Master Clock: Class 1, temperature-compensated master clock with dual VCXO. Clock frequencies: 44.1, 48, 88.2, 96, 176.4, 192kHz. Clock accuracy: better than ±1ppm when shipped (guaranteed for 12 months from shipping date), typically ±0.1ppm when shipped and stabilized. Word-clock outputs: 8 in two groups of 4, independently buffered, on 75 ohm BNC connectors. Reference input: external reference input on one 75 ohm BNC connector. Accepts word-clock or AC-coupled signals at 32, 44.1, 48, 88.2, or 96kHz; or 1, 5, or 10MHz. Lock range: ±300ppm. Start-up time: typically 1 minute to rated accuracy. Dimensions: 17.5" (444mm) W by 5" (127mm) H by 17.2" (437mm) D. Weight: 29.9 lbs (13.6kg). dCS Vivaldi Upsampler: Digital-to-digital processor with switchable upsampling filters (4), upsamples input data to high-sample-rate PCM (up to 192kHz), DSD (1-bit data at 2.822MHz), or DXD (24-bit, 352.8kHz). Inputs: asynchronous USB1, USB2.0, S/PDIF RCA (x2), S/PDIF BNC, S/PDIF TosLink optical, AES3/EBU, word-clock In/Out, SDIF-2 BNC. 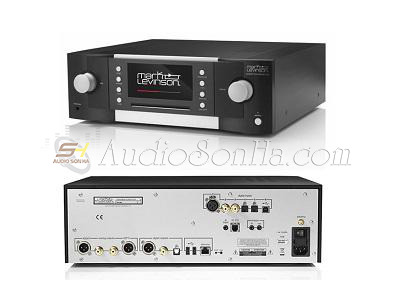 Outputs: AES/EBU (x2) configurable as single or dual link, S/PDIF RCA, S/PDIF BNC, SDIF-2 BNC. Dimensions: 17.5" (444mm) W by 5" (127mm) H by 17.2" (437mm) D. Weight: 31.3 lbs (14.2kg). 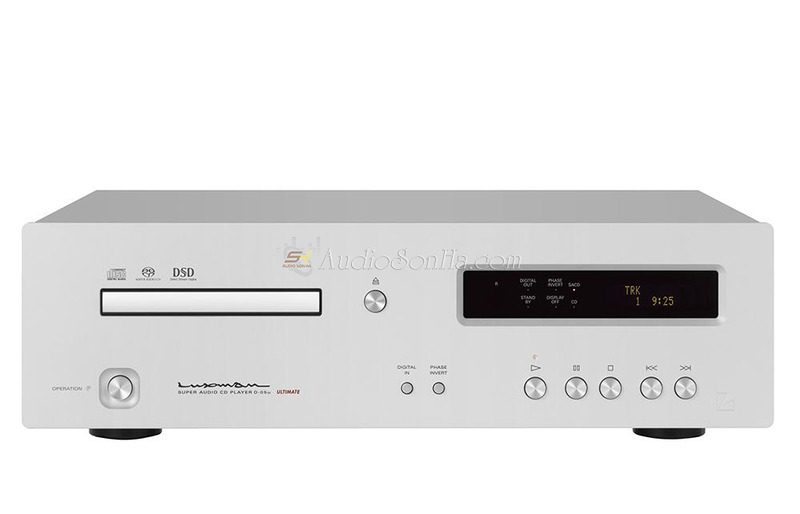 dCS Vivaldi Upsampling SACD/CD transport: Drawer-loading, dual-laser SACD/CD transport with remote control, PCM outputs, and DXD or encrypted DSD datastream output via dual AES/EBU (XLR). Digital outputs: 3 AES/EBU (XLR), 1 BNC, 1 RCA coaxial S/PDIF; SDIF2, BNC. Word clock In/Out, SUC multipin connector for RS-232 control. Includes BNC and AES/EBU cables. Dimensions: 17.5" (444mm) W by 7.8" (198mm) H by 17.2" (437mm) D. Weight: 51.1 lbs (23.2kg).